The Certified Organic Gourmet Salad Mix Kit Includes these organic seeds: spicy greens mix, all gourmet lettuce mix, deep purple bunching onions, pencil carrots and bite-sized tomatoes) Includes all the parts necessary to create a delectable gourmet salad: assorted greens, bunch onions, carrots and tomatoes. Home-grown vegetables have a freshness and texture seldom found in commercial produce departments. These five salad vegetables were specifically selected for their superior flavor. Certified Organic! 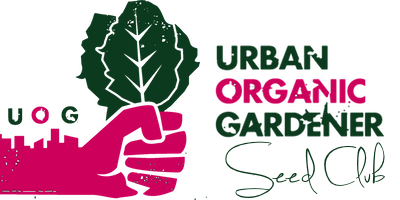 Includes: US recycled steel tin container (5" diameter) 5 seed varieties (spicy greens mix, all gourmet lettuce mix, deep purple bunching onions, pencil carrots and bite-sized tomatoes) Garden stakes Detailed directions with cultivation methods. Certified Organic! Organic Stone Soup (red acre cabbage, little fingers carrot, mammoth melting pea, evergreen bunching onion, roma tomato, blue lake pole bean) Inspired by the familiar story with the simple message about sharing, this vegetable garden kit is a great way for a child to create a fun-filled garden of their very own. Quick to germinate and easy to grow, the vegetables in this kit come in a variety of colors, shapes and sizes that kids are sure to enjoy. Includes: recycled US steel case and seed tins, 6 varieties of organic seed, garden stakes, pencil, magic stone in jute bag, 'stone soup' recipe, directions. Tin 1" high x 7.25" wide.